Select items, detailed below, are provided to you as part of your Donna Italia starter pack. * If you require any further point of sale items, please contact your account manager on 0333 5779 333. 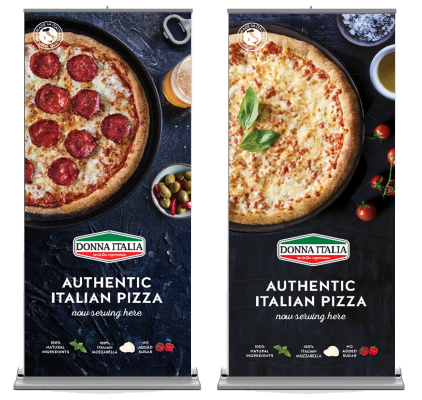 Perfect for displaying your Donna Italia authentic Italian pizza service to all of your customers. 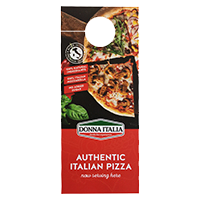 Ensure every one of your guests are aware of your Donna Italia pizza options with a hanger on every door. 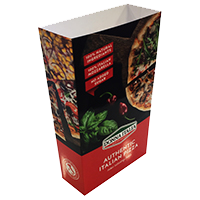 Ideal for promoting your Donna Italia pizzas on table tops, counters and displays. 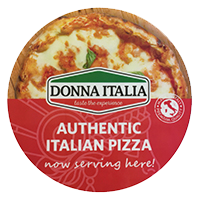 Use our Donna Italia window sticker to promote your delicious authentic Italian pizza offerings to customers outside your property. Extremely durable and include a light weight carry case for easy transportation. Easy and quick set up wherever you are promoting your pizza. Ideal to pop up as a small display in your premises or at an event. *Note; pop-up banners are NOT included in your Donna Italia starter pack. 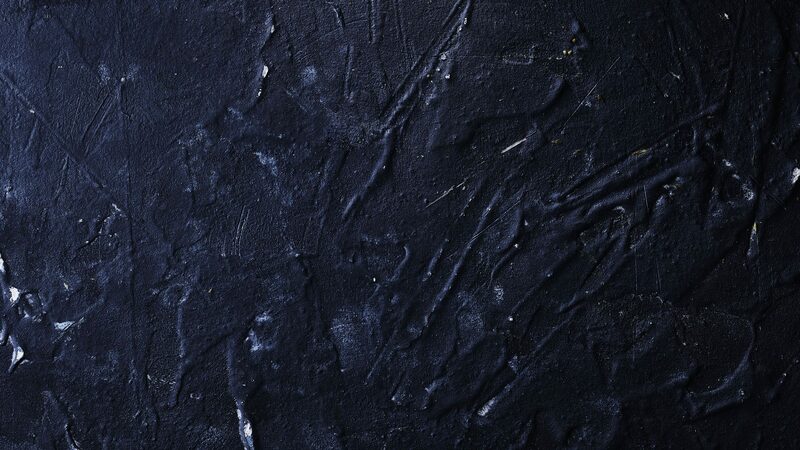 Charges may apply to some additional point of sale materials.